There were nuances to Matthew La Porte, the Air Force Reserve Officer Training Corps cadet shot dead inside his Monday morning French class. Friends and mentors say his buzz cut belied a strange wit. La Porte, 20, was killed in the nation’s deadliest school massacre Monday, a 32-casualty shooting rampage at a Virginia Polytechnic Institute dorm and packed classroom building. Word of the cadet’s death tore through his brethren at both his college’s Corps of Cadets and at Carson Long Military Institute in New Bloomfield, Penn., where La Porte graduated just two years ago. Both circles are tight. Both are grieving deeply. Those close to La Porte describe him in contradictions. 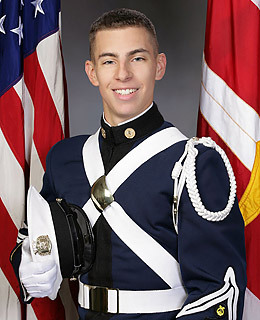 A Corps of Cadets drummer who adored thrash metal. A lean-muscle beast in the gym who never showed off. A young man whose quietness could be mistaken for aloofness. His friends knew him as a thinker. La Porte was raised in Dumont, N.J., where we worked as a lifeguard during summers off. Cho, whose parents live in Centreville, Va., is a South Korean national who has lived in the United States since the early 1990s. He killed himself in a classroom building as officers closed in, police say.